Rivers Agency has a long professional history of working with laboratories, medical and heath organizations and university departments to create specialized and informative web sites as well as branded print collateral. Located directly north of the University of North Carolina at Chapel Hill, we have fostered our relationship with many of the school’s research and health organizations through close proximity and community spirit. We are knowledgeable about working with university and state organizations and take pride in working with these clients to set up a beautiful online brand. 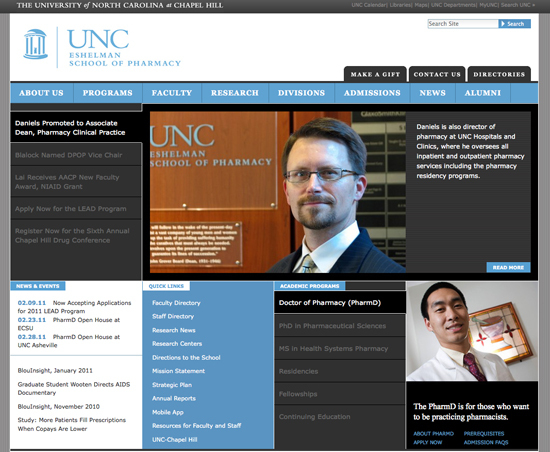 For an example of our extensive work, visit the UNC School of Pharmacy. This web site has thousands of internal lab web sites and was built using Plone, an enterprise-grade content management system. The CREATE pharmacogenetics research network and the Carolina Collaborative for Research on Work and Health are both web sites that we built for hard-working labs at UNC. The work of these labs is very important to science worldwide, and our goal is to study and learn the work, history, grants, research and personalities of the individuals before we start creating a new brand. Our lab site clients are brilliant researchers and school organizations, and we are lucky to be a part of bringing all of their important work to the Internet and the world. Our medical organization clients extend from Cervical Cancer-Free America, run by UNC School of Pubic Health scientist Dr. Jennifer Smith, to the UNC Center for Maternal & Infant Health and UNC Pediatric Dentistry. These sites were created with public health and consumer consumption in mind. Our goal when developing medical web sites is to make information easy to find and use. We value the opportunities that we have had to create such important web sites for our community, region and nation. 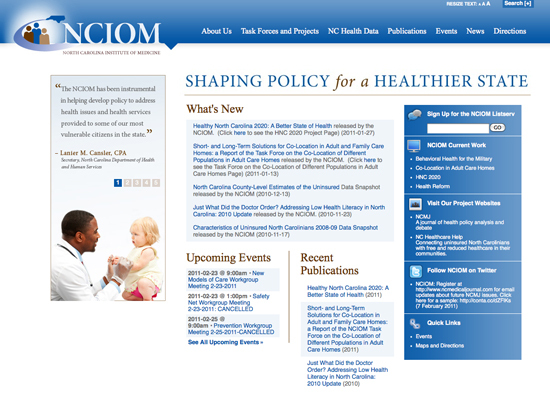 For organizations with vast amounts of information, we have created clean, easy-to-navigate and totally client content managed web sites such as the North Carolina Institute of Medicine and the North Carolina Medical Journal. Both of these sites focus on scholarly research and writing, and were built to bring that information to heath care providers, researchers and the general public. NC Healthcare Help is a search tool built in tandem with these two publication web sites to help the general public locate a doctor or healthcare provider. 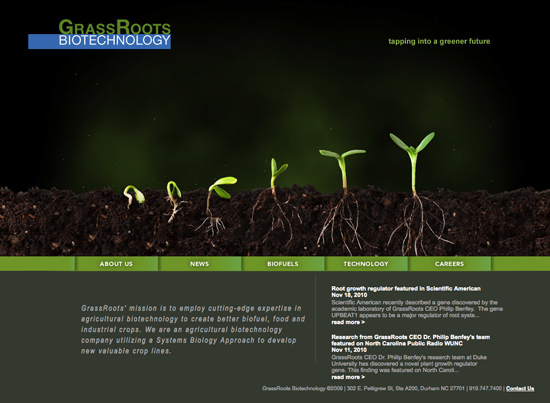 Bold design takes a forefront in the clever, eye-catching web sites for SNAP, a research study web site, TUNTek, a scientific lab web site and GrassRoots Biotechnology, a brand-oriented biotech web site. However expansive your lab, university, or state organization may be, Rivers Agency has the experience and dedication to learn your group and spread your mission, brand and work in an appealing design across the web. Rivers Agency’s web work is impressive… clean lines and sharp photos. It’s always refreshing to come across a web site that’s designed with the user in mind.